HeliBars, of differing lengths depending upon the application, are the principal components of the Helibeam System. Bonded into cut slots at pre-determined levels in the masonry using HeliBondthixotropic cementitious grout, it is the composite action between the HeliBars and HeliBond that provides the core element of the Helibeam System, making it such a versatile, reliable and successful masonry repair system. HeliBar starts as round stainless steel wire with a typical 0.2% proof stress of 500N/mm² but after the cold forming manufacturing process that creates the helical hi-fin design, this more than doubles to around 1100N/mm². 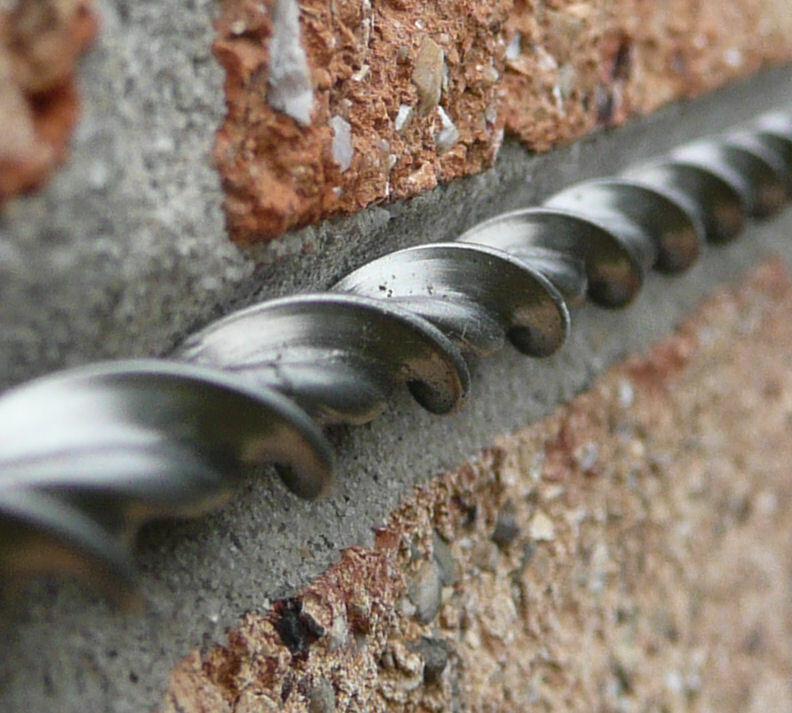 This means that HeliBar, with its relatively small diameter, provides substantial tensile properties to the masonry, particularly when combined with HeliBond grout which locks between the fins and bonds to the masonry. Consequently, the well proven Helibeam System has a variety of remedial and new build applications.